Novelist, playwright, broadcaster and art critic. 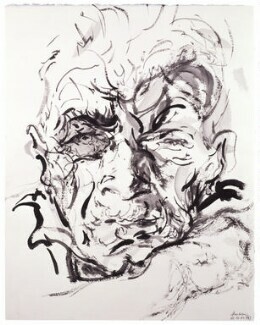 Berger began his career as a painter but made his reputation as a writer and is considered to be one of the most influential British writers of the last fifty years. International acclaim was secured by G, a story of migrant workers in Europe which won the Booker Prize in 1972. Among his other works, the best known are Ways of Seeing (1972) and the famous television series re-examining the way in which art is viewed and understood, Pig Earth (1979) and the Into Their Labours trilogy (completed 1992). He became Visiting Fellow at the British Film Institute in 1990.